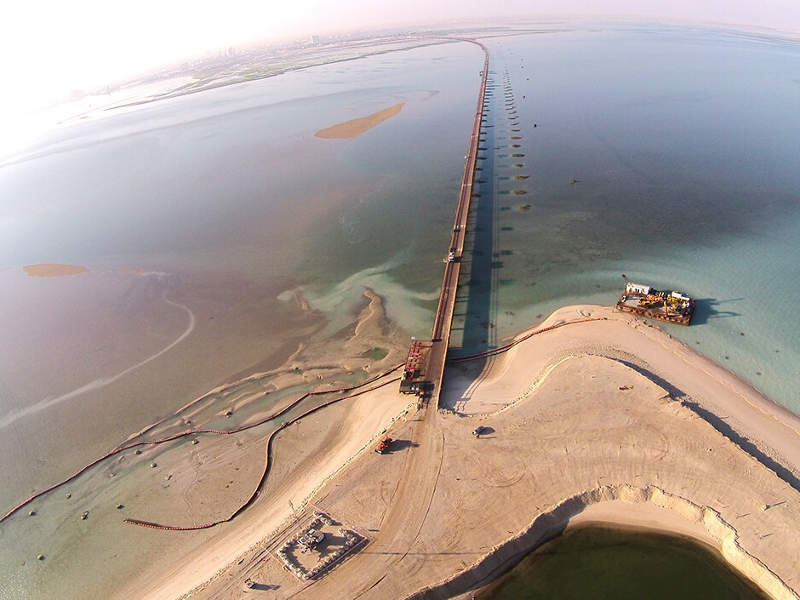 Sheikh Jaber Al-Ahmad Al-Sabah causeway is being constructed over the Kuwait Bay. Image courtesy of Kuwait Ministry of Public Works. The project includes the construction of the Subiyah Causeway and the Doha Causeway. Image courtesy of Kuwait Ministry of Public Works. The Subiyah causeway will be 37km-long. Image courtesy of Kuwait Ministry of Public Works. 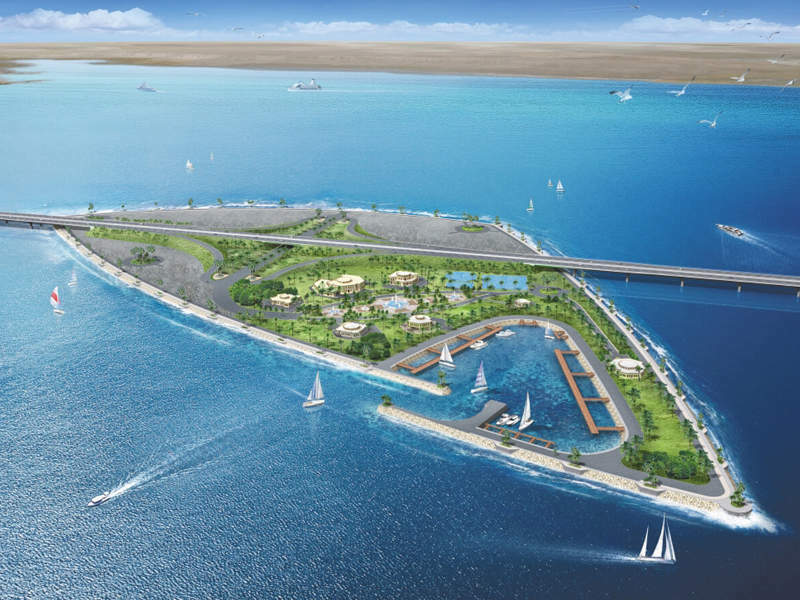 The project includes the construction of two artificial islands spanning 30ha. Image courtesy of Kuwait Ministry of Public Works. The artificial islands will feature amenities such as fuel stations and maintenance facilities. Image courtesy of Kuwait Ministry of Public Works. 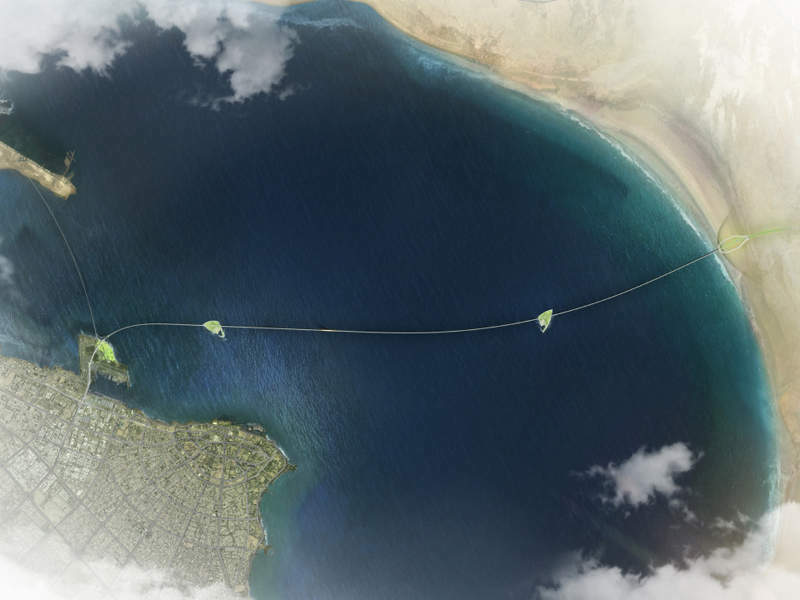 The Doha connection will be 12km-long. Image courtesy of Kuwait Ministry of Public Works. The project will reduce the travel time between Kuwait City and the Subiyah new city. Image courtesy of Kuwait Ministry of Public Works. Being undertaken by Kuwait Ministry of Public Works (MPW), the $3bn project includes the construction of a 36km road to Subiyah and a 13km connection to Doha. Construction commenced in November 2013 and is scheduled to be completed by 2018. The causeway project aims to reduce the distance between Kuwait City and Subiyah in the northern part of Kuwait, as well as decrease the travelling time from 90 minutes to less than 30 minutes. The government is also developing a new residential area, named as the Silk City, in Subiyah for 500,000 inhabitants. The city is being developed to renew the ancient Silk Road trade route between China and Kuwait. 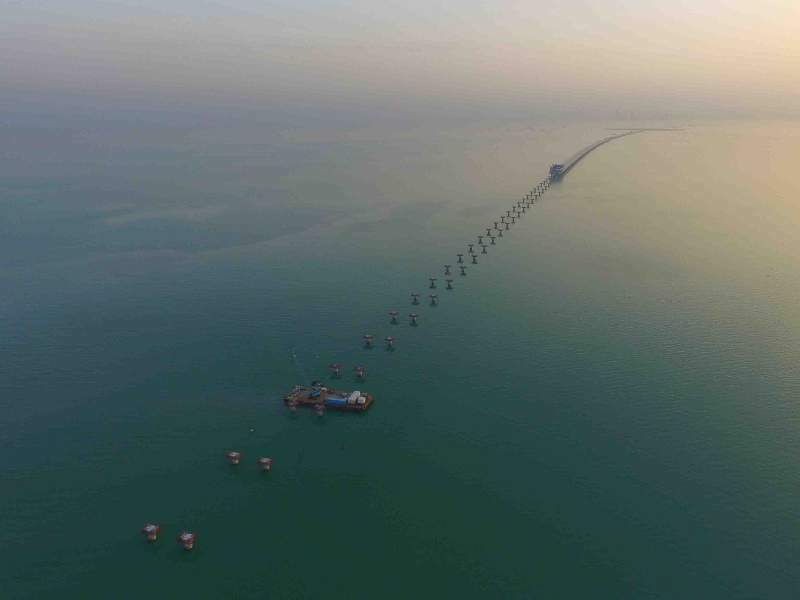 The main causeway or the Subiyah connection will be 36km-long, of which 27km will be a marine bridge connection. It will start at Shuwaikh in the Shuwaikh Port area on the southern side of the Kuwait Bay and end at Subiyah. A signature element of the causeway is a main cable-stayed bridge featuring a 200m span and an arch pylon. It also includes an elevated road and 5km of access roads connecting to the Subiyah area. A free-flowing interchange at the port will link to Kuwait City’s road network. A visitor centre is planned to be built at the beginning of the causeway on the Shuwaikh side as a landmark. "The city is being developed to renew the ancient Silk Road trade route between China and Kuwait." The project also includes the construction of two 30ha artificial islands, which will feature traffic and emergency service buildings, maintenance facilities, gas station, and a boat dock. 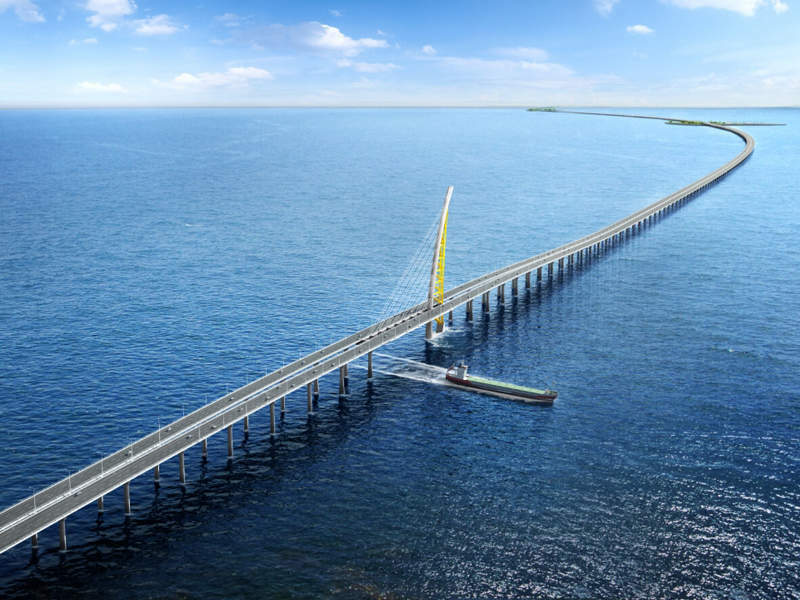 The islands will include a 23m-high navigation causeway and a 120m navigation opening for passing ships. The 13km Doha connection will be a marine bridge structure with twin parallel decks. It will link the Shuwaikh Port with the Doha motorway, and help in reducing traffic congestion by diverting large trucks entering and exiting the Shuwaikh Port to the Doha road. Both the main causeway and the Doha link will include two 30.6m-wide carriageways, with three lanes in each direction and an emergency lane on each side. The causeway will be equipped with intelligent transportation monitoring systems, which will enable tracking of emergency vehicles, traffic monitoring, reporting of traffic violations and recording trip duration. The information will be fed into the Kuwaiti Traffic Management Center for monitoring and control. 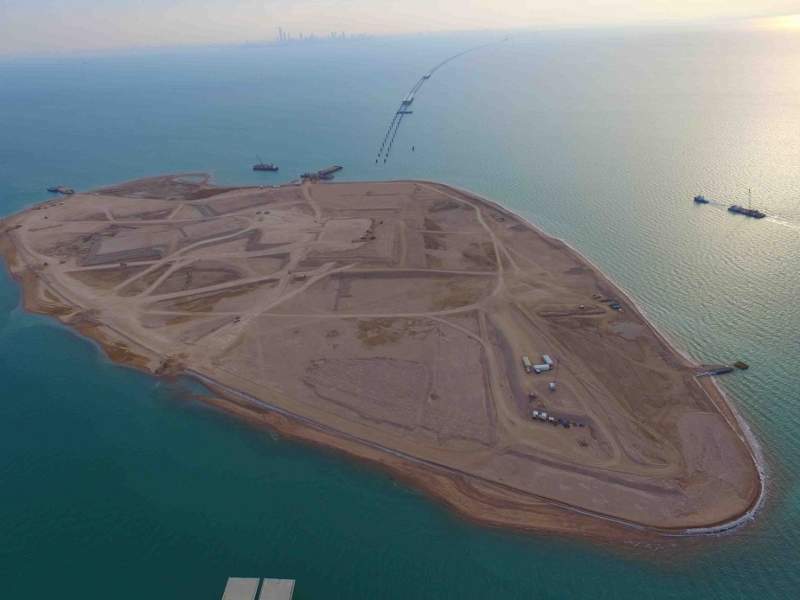 The main causeway and the Doha link are being built on 1.535 million square metres of reclaimed land. The project will require the construction of viaducts, interchanges, bridges, drainage and lighting facilities, and infrastructure utilities. Pre-cast construction techniques including precast pile caps, piers and deck units are being used extensively to complete the project quickly. More than one million cubic metre of high-grade concrete will be used for the project. The 37km main causeway will comprise 1,200 foundation piles, 613 steel stacks, 1,200 pillars, and 1,211 pre-cast and cast-in-place concrete beams. The onshore piles will have a diameter of 2,500mm (98in), while the offshore piles will have a diameter of 3,000mm (118in). Bored pile technology is being used due to the soil conditions. The piles are being installed at depths between 30m (98ft) and 84m (276ft). The offshore piles are being installed using an anchored barge. COWI carried out preliminary engineering investigations and developed the concept and tender design for the project. Main contractors for the project are Hyundai Engineering and Combined Group Contracting. The design review and supervision team includes Dar Al Handasah, Tylin International and SSH Design. CLC Projects provided transportation services for cranes and bridge building equipment. 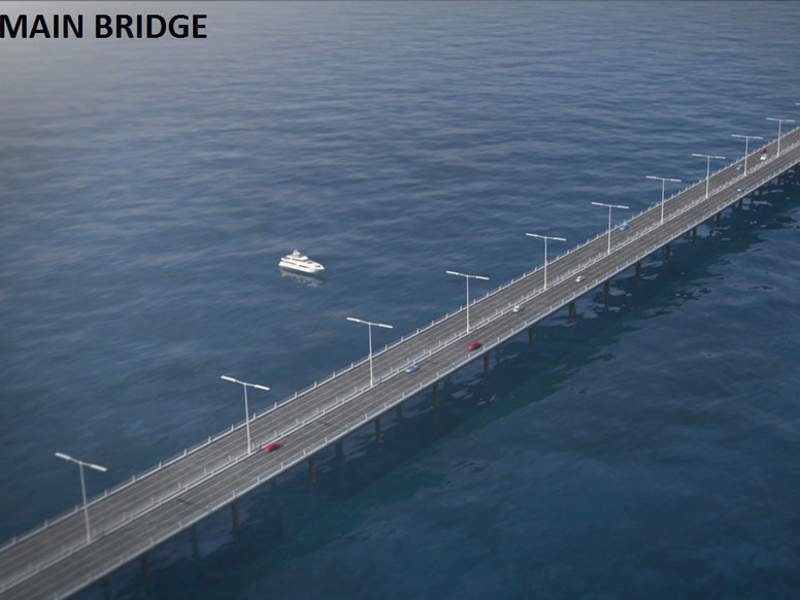 Systra Korea delivered the basic and detailed design for the onshore bridge. Other subcontractors associated with the project include Hewson Consulting Engineers, S-KO Engineering Management Construction, Dorman Long Technology, Trevi Foundations Kuwait, Ross & Baruzzini, John Emmanuel Papagrigorakis & Associates, GS E&C Corporation, Kuwait Steel, EMG, Gulf Dredging, KTI-Plersch, DMI Engineering and Manufacturing, and Aconex.